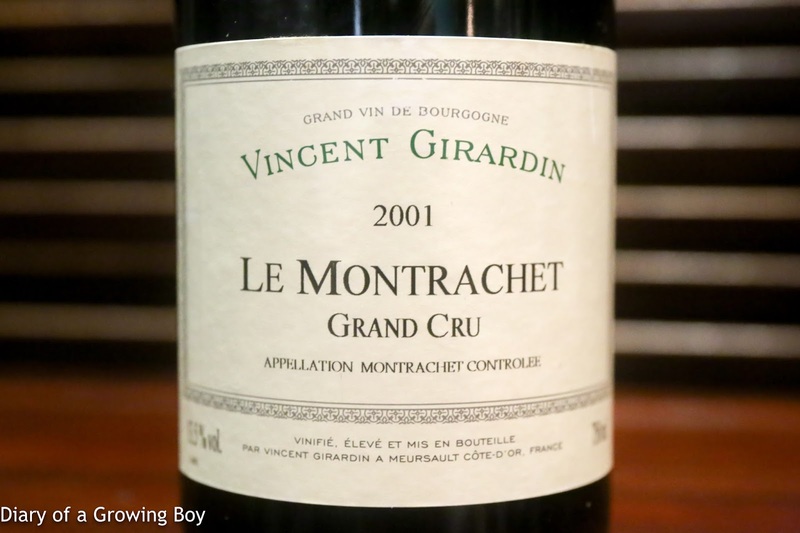 2001 Vincent Girardin Le Montrachet - popped and poured. 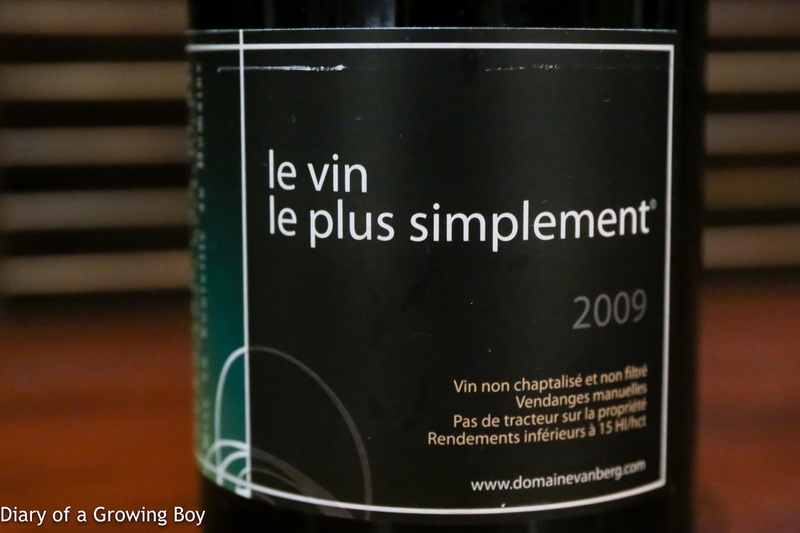 A little toasty, kinda muted at first, definitely good acidity here. 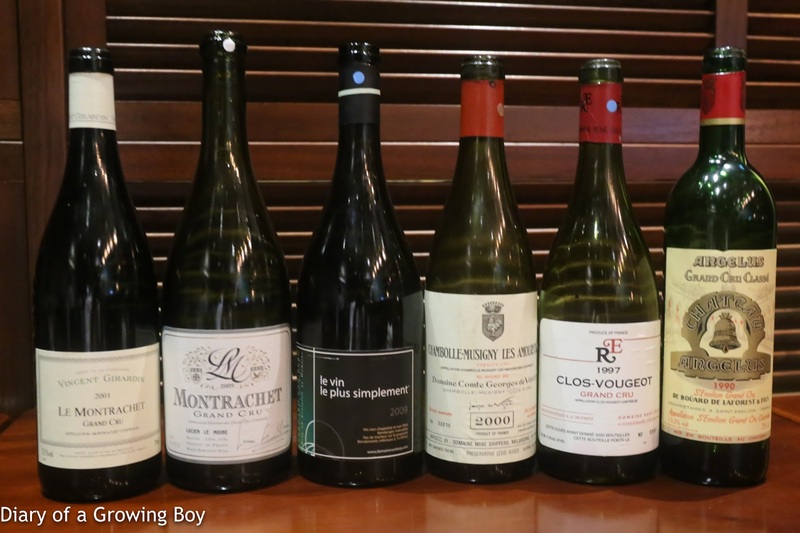 Minerality came out with the oyster. 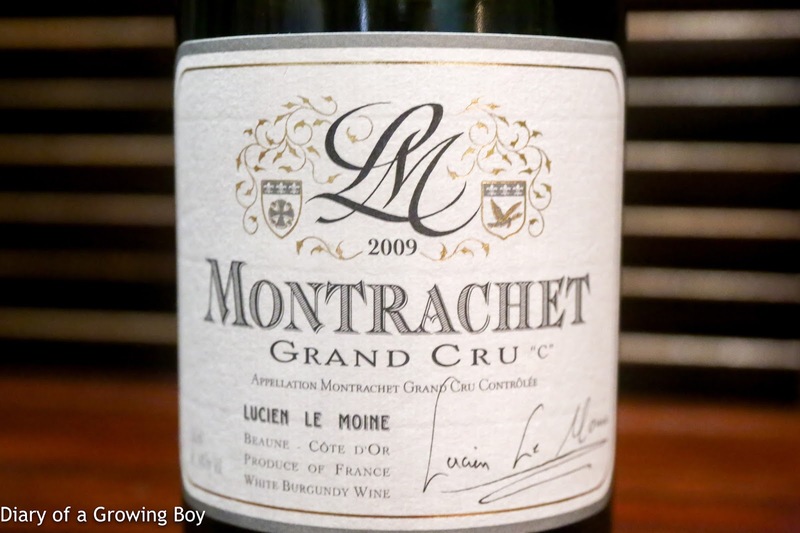 2009 Lucien Le Moine Montrachet Cuvée "C" - one hour in bottle, 2 hours stoppered, 45 minutes in the decanter, 20 minutes back in the bottle, then 1 hour in decanter on ice prior to serving. Minerals came out, sweet and caramelized nose, and more toasty later... but rather short on palate. 5½ hours after first opening the wine started to improve. Six hours after opening the wine opened up nicely. This wine definitely needs lots of air. 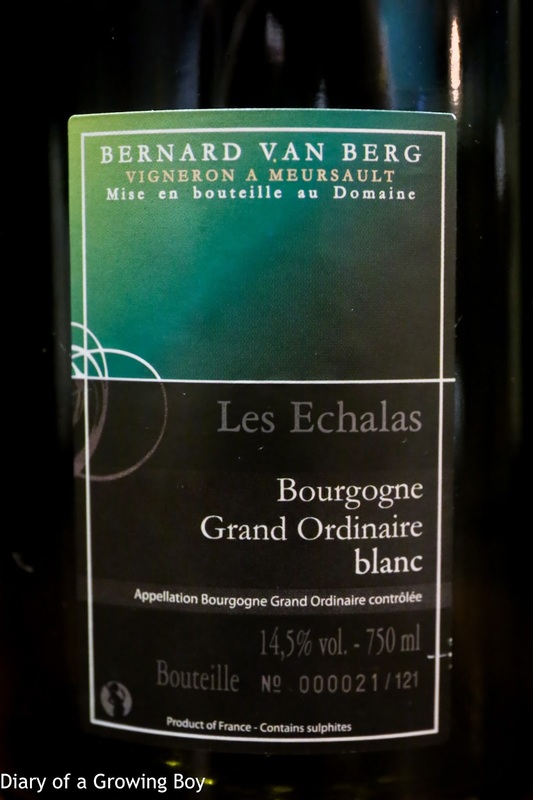 2009 Bernard Van Berg Les Echalas, bottle 21/121 - 1 hour and 15 minutes in decanter prior to serving. 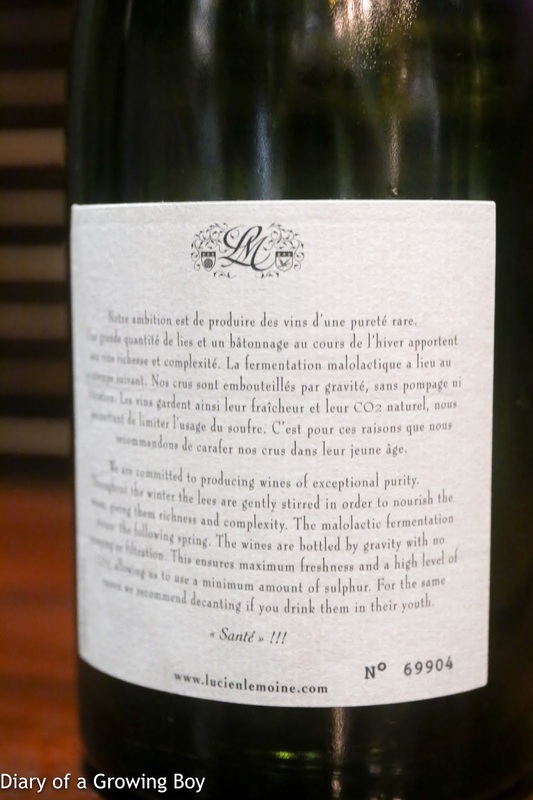 Surprisingly very clean on the nose, a little oaky, powerful on the palate and very alcoholic. Softened in glass and became a little sweeter. 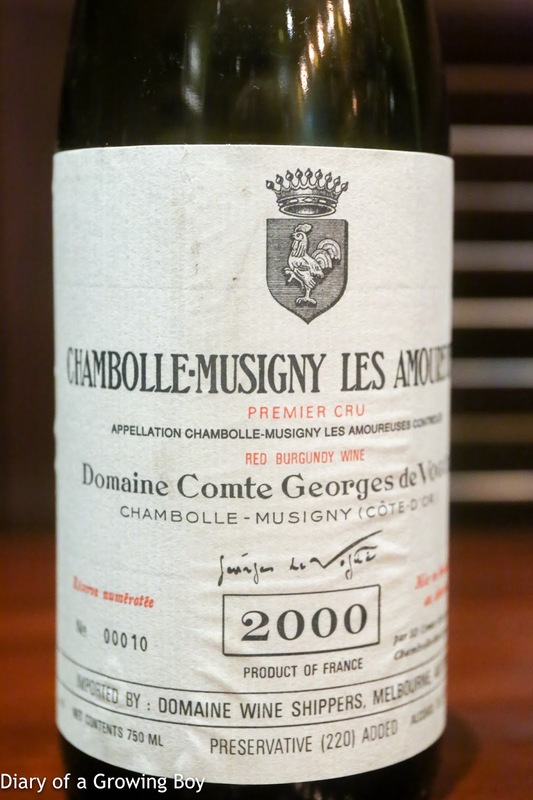 2000 Comte Georges de Vogüé Chambolle-Musigny 1er Cru Les Amoureuses - fruity, minty, dried herbs, very fragrant. Drinking pretty well. After sitting in glass for a while, the nose became similar to Chinese ginger tea with brown sugar. 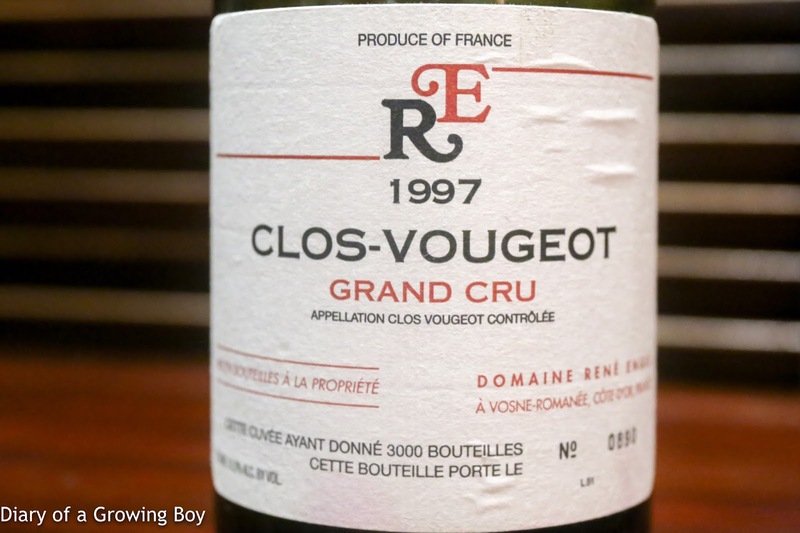 1997 René Engel Clos Vougeot - initially lots of black olives and stewed prunes, with leather notes. There is sweet fruit underneath which showed up after a bit more swirling. 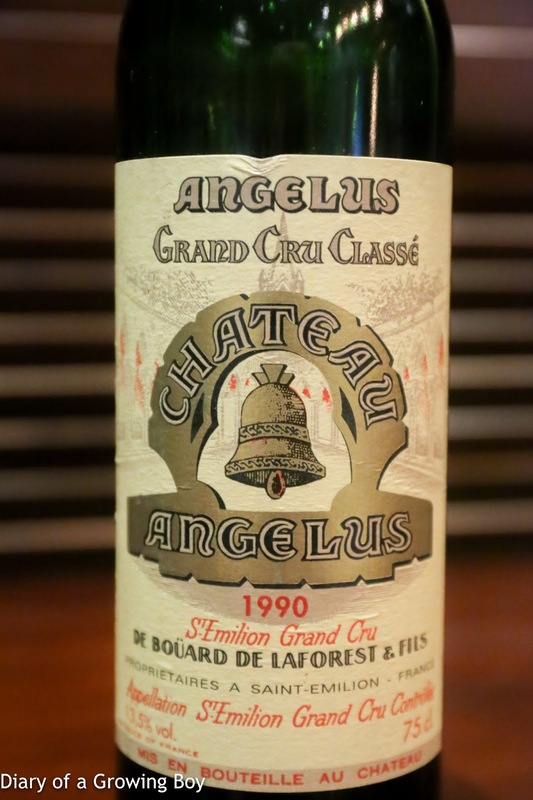 1990 Angelus - an hour in the decanter prior to serving. So beautiful! Smoky, minty, pencil lead. So smooth on the palate.